Random Anny .Com: Cash Vs. Credit - What's your preference? 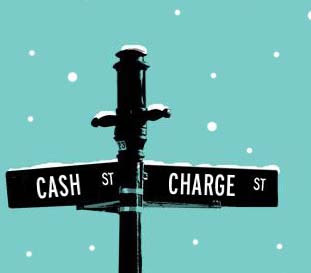 Cash Vs. Credit - What's your preference? Saving Cents in the City (great blog) had a great entry about the cash versus credit mentality. She reasons that as a child all her money was in cash so it was harder to part with it. Now that she's older and uses credit the sting is gone. I'm the exact opposite. Once I spend cash (garage sale, small store, chipping in to order food) that money is GONE for good. I don't think about it, I don't write it down, its as if this money never existed.